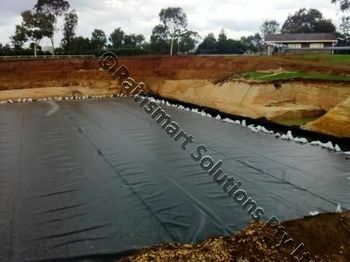 Rainsmart Solutions Supplies® nonwoven needle punched Hydrophilic Geotextile which is polymer based products that are manufactured from a variety of processes. 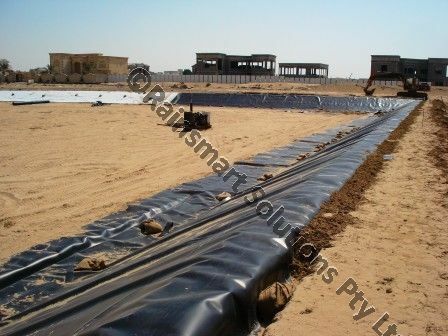 Generally for sub-soil drainage needle punched non woven Geotextile is most suitable type of Geotextile that should be selected for use. The polymers offered are polypropylene or polyester. 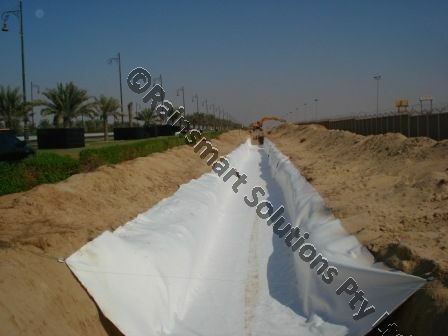 Nonwoven geotextile of 180 gsm+ minimum in weight with respective parameters in strengths, flow rate, pore size and filtration characteristics are generally recommended by Rainsmart Solutions in conjunction with its drainage products applications. 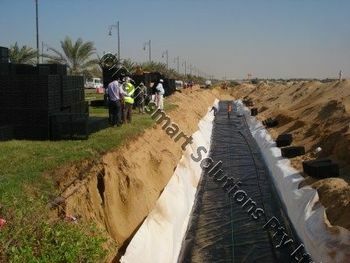 Please contact Rainsmart for more specific project requirement details. All Liners are supplied in wide rolls or folded configuration for easy site handling and installation. Prefabricated, Pre-welded to suit or Onsite fabrication services also offered depending on location and economics of a particular project. Please contact us with your requirement and we shall be able to advise on the most appropriate product and install details for each specific application.